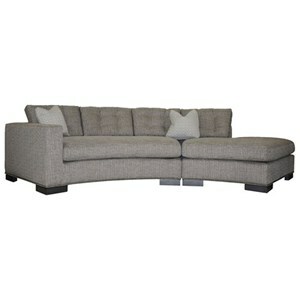 Highlighted by elegant track arms, this transitional sectional loveseat adds a modern flair to your living room space. Showcasing exposed block legs, the piece features a curved design and chaise for additional space. 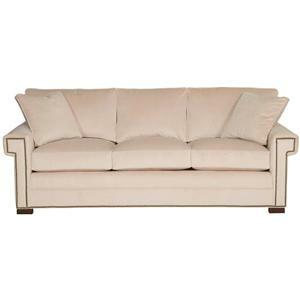 Accommodating and stylish, transform your home with this beautiful and unique loveseat. 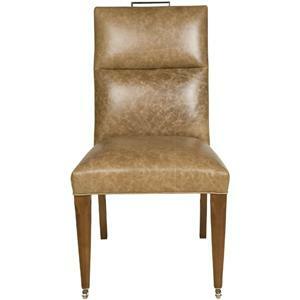 This plush upholstered dining side chair will add both comfort and luxurious style to your dining room. 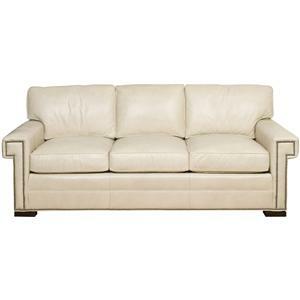 The back cushion features a channel tuft for a casual look, while slim tapered wood legs add a contemporary touch. Customize the look to complement your decor by choosing from many fabric and leather options, or add nail head trim or casters at the base. 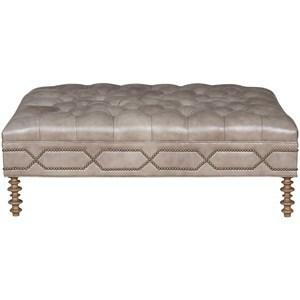 Create the perfect living room accent piece with this customizable ottoman. 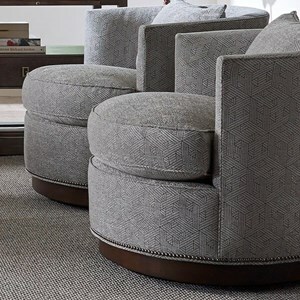 The fully customizable piece lets you pick your ottoman shape and size, leg type, top style, and nailhead trim and finish. Use it in place of a cocktail table for a unique look that expresses your personality and individual style. 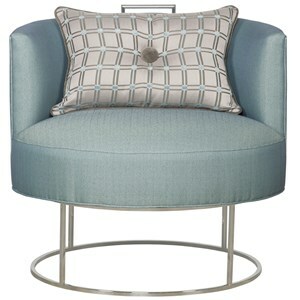 This swivel chair is a real gem - a conversation starter that's fashion-forward and eclectic yet classically chic. The swivel tub chair sits atop a polished stainless steel base that's open and clean-lined to suit contemporary room decor. The swivel base has a memory return feature that glides back into position when the chair is not in use. Softening this lounge-worthy look is one plush toss pillow with an oversized button. Hundreds of custom fabric and color options are available to special order. Crafted from White Cedar solids and veneers, this beautiful lamp table presents accommodating function and design. Featuring a small bottom shelf area and a round top, the table is perfect for magazines, drinks, lamps or other small items. 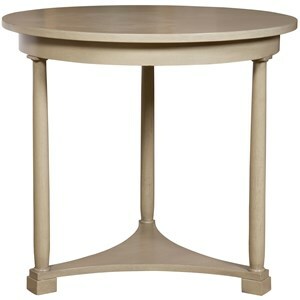 Shown here in a french gray finish, this table is perfect for your transitional living room space. 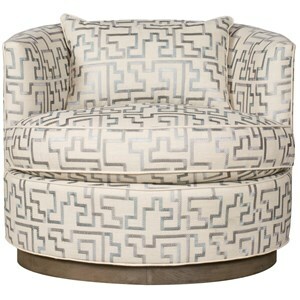 Provide versatile comfort and turn any room into a plush lounge with this dapper swivel chair. With classic contemporary styling and your choice of custom fabrics and wood finishes, this accent chair is the perfect way to treat your room to something special. 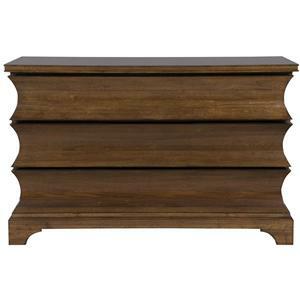 It boasts a unique wood pedestal base, tub-style tuxedo back, and loose toss pillow. To customize the feel of the chair, opt for a firmer or softer seat cushion from our special order catalog. It all started with a velvet chair, the perfect velvet chair - the one at the forefront, the vanguard of the room. Today, more than 40 years later, Vanguard Furniture is still making good on its name to be in the forefront of furniture -- From one perfect velvet chair, to endless possibilities. That dream of one man now employs over 500 people and occupies over 400,000 square feet of manufacturing space. Nearly all shareholders of the company are employees or grandchildren, therefore possible future employees. There truly is a family atmosphere at Vanguard, even for those that are not actually family. We work in teams from the shop floor to the office, and respect and integrity are words everyone lives by. We understand that a good reputation is easy to lose, both personally and professionally, so we strive to be good corporate citizens. It is important to us to know that our partners find us to be easy to work with, dependable, and that the products we sell are a good investment. Good investments are products you can count on. We have extensive warranties with our products, and live by the motto that if something is not right, we will fix it. We offer the broadest selection of upholstered frames in the marketplace and have one of the largest product development groups in the industry. We are fashion driven, but we also strive to match components with their intended use, which explains all the variety and choices we offer. For example, we would never suggest a fragile, expensive silk on a plush, comfortable sofa that will be used by the entire family. Our challenge going forward is to maintain momentum. In the 1990’s we still looked up to some of the giants in the furniture industry, but now we feel that we are on par with, and sometimes better than, our former idols.